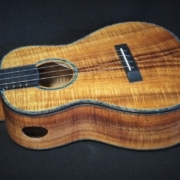 Whether its straight, stacked, rift, crinkle, quilt or bees wing curl you just can’t beat the beauty of Koa Wood. 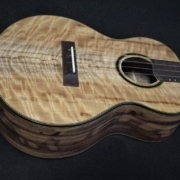 Here’s a Bees Wing Koa Tenor Ukulele exclusively built for and recently delivered to Hale Ukulele in San Diego. Rich, warm and brown this instrument has a classic woodsy look. Classic bees wing curl koa. In addition to the bees wing koa for the ukulele body, I used Asian Satin Wood burl for the accents, India Rosewood for the binding and Blue Paua Abalone purfling for some extra sparkle. 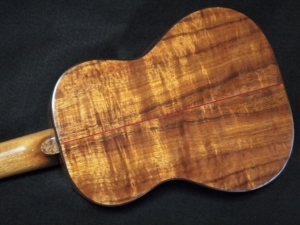 The neck is Honduran Mahogany and the finger board and bridge are Amazon Rosewood species. 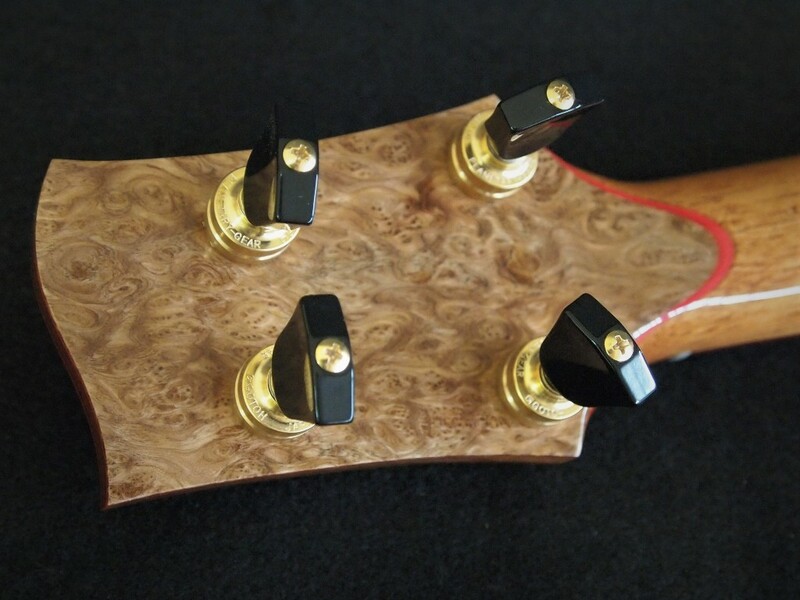 Asian Satin Wood Burl backstrap. 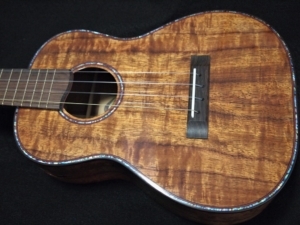 You can’t beat koa especially on a Bees Wing Koa Tenor Ukulele!